Even friendship bracelets nowadays come with built-in tech. After two years of development, startup Jewelbots launched on Thursday programmable friendship bracelets for kids. The product stems from a successful Kickstarter campaign, which raised more than $166,000 for development. The friendship bracelets, called Jewelbots, can sync up with each other via Bluetooth connection. Friends can program the bracelets to "talk" to each other. Using a smartphone or computer, teens can assign friends one of eight colors. Their bracelet will light up that color when the friend is nearby. Teens can also send each other vibrations, similar to modern day Morse code. What the vibrations mean are determined by the teens themselves -- two vibrations, for instance, could suggest "Meet me by the locker" or "I aced the test." But that's just the basics. 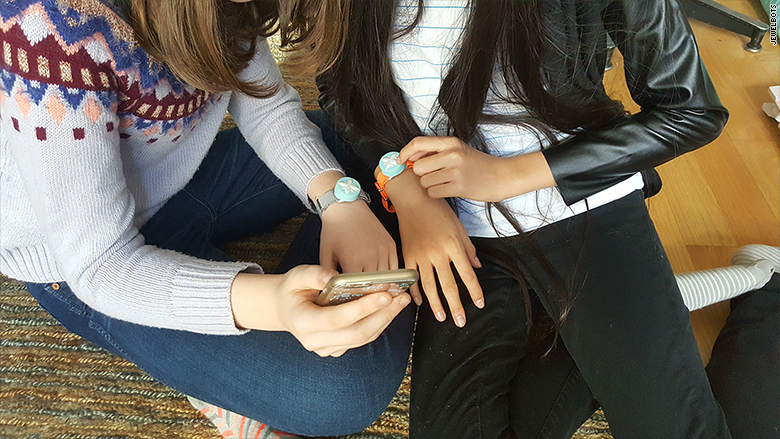 Jewelbots can be programmed to crank out more notifications, thanks to open-source software aimed to encourage young girls to learn more about coding. "If kids find things they love and you give them the ability to customize it, there's no stopping them," Sara Chipps, the 35-year-old cofounder of Jewelbots, previously told CNNMoney. Chipps, also the cofounder of nonprofit coding organization Girl Develop It, runs Jewelbots along with Brooke Moreland, 35. 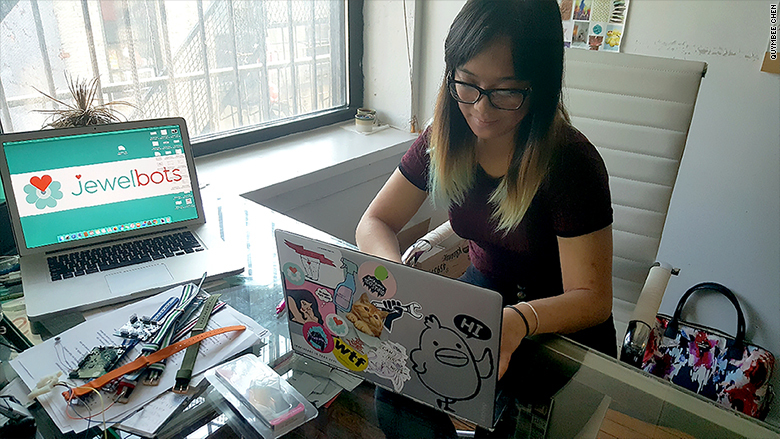 The startup's secret weapon is 18-year-old Quymbee Chen, who writes blog posts and manages Jewelbots' social media accounts. Chipps previously mentored Chen, then a high school sophomore in the Bronx, during a programming project at school. "I was one of the first people she asked about [the concept]," Chen told CNNMoney. Quymbee Chen, 18, works as Jewelbot's resident teen and full-time community manager. She joined Jewelbots as an intern during summer breaks, which made her the envy of other students: "It got me into the cool kids club in high school." But after she waitlisted at her first-choice college, New York University, Chen took a full-time offer at the company. Currently taking a "gap year," she plans to apply to college for fall 2017. Her value comes from having her ear on the ground, Chipps said. Chen suggested calling a three-pack of Jewelbots bracelets a "Squad" and a two pack a "Twinnie." If Jewelbots had been around when she was younger, "I would've ended up a different person," Chen said. 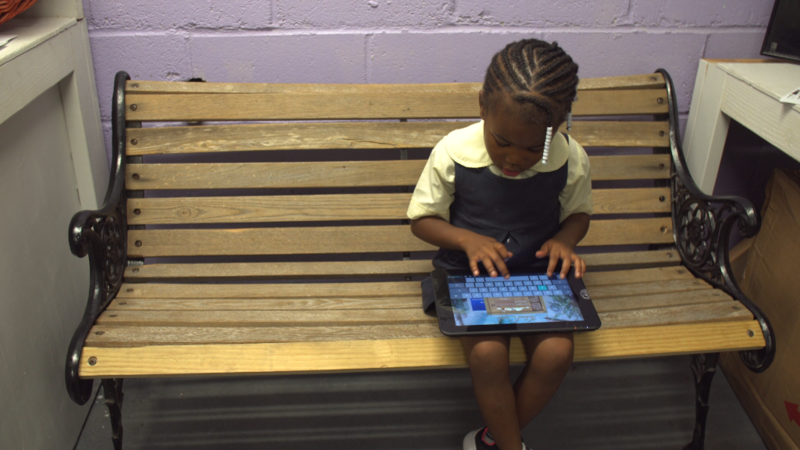 "There was never really an option for a girls STEM toy." More companies are introducing programming and coding to help get women interested in computer science at a young age. Women made up just 18% of computer science college grads in 2012 -- a huge gap to bridge. Considering about 2.4 million STEM jobs are projected to be filled by 2018, finding more talent will be crucial to employers. The bracelets, priced at $69, are now available through Target.com, education site Mindware.com and the Jewelbots' site.